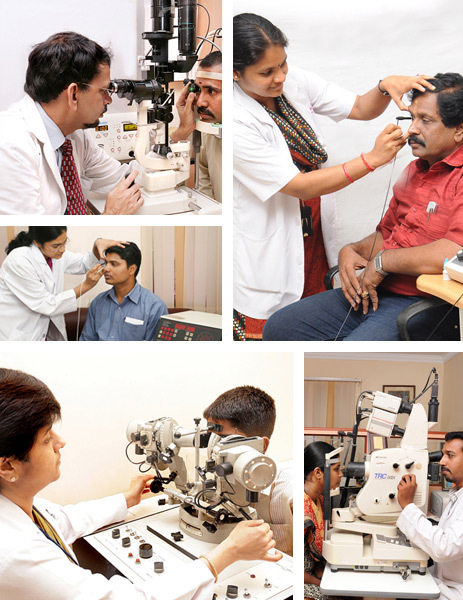 Rajan Eye Care hospital is well-equipped with the latest technologies and support services. This provides our patients with greater precision, safety and the shortest road to recovery. Comprehensive Eye Check-Up : This includes Eye Testing for Spectacles (Refraction), measurement of Intraocular pressure and complete Retinal examination. Cataract Clinic : Intraocular lens (IOL) implantation, small incision sutureless cataract surgery (Phacoemulsification) with Foldable IOL. Glaucoma Clinic : Applanation Tonomertry and Computerised Automatic Visual Field Analysis (Fields) and Optical Coherence Tomography. Refractive Surgery Clinic : LASIK – A sure way to get rid of glasses. LASIK is currently the most sophisticated refractive procedure for correction of refractive errors. Rajan Eye Care hospital has installed a 4th generation LASER capable of treating Myopia (short sight), Hyperopia (long sight) and Astigmatism (cylindrical error). Gone are the days of Glasses and Contact Lenses with the advent of this highly sophisticated technology. For refractive error of higher degree LASIK Laser provides very good results. Diabetic Eye Clinic : Fundus Flourescein Angiography (FFA) and Laser Photocoagulation. Retina Clinic : Diagnosis and management of Retina and Vitreous disorders. Paediatric Ophthalmology : For children with common disorders like Refractive errors, Congenital Cataract, Squint and Strabismus. Squint & Orthoptic Clinic : Correction of Squint and ocular motility disorders. Contact Lens Clinic : Therapeutic and Cosmetic Contact lenses including premier Rose-K lens available here. Trauma Centre : 24 hour Ocular Trauma services. Inhouse Opticals : Having indigenous and imported frames to select from. Rajan Eye Care is in the forefront as regards to deployment of cutting edge technology for providing world class ophthalmic care. The various departments of the hospital are engaged in a constant surveillance of developments taking place world over in the field of eye care. Scientifically proven new technologies which serve as a boon to patients suffering from different types of eye ailments are harnessed effectively. 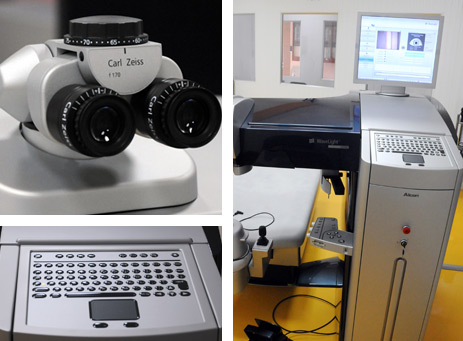 The hospital works closely with internationally reputed organizations like Bausch & Lomb, Carl Zeiss, Alcon, Allegretto, etc for being the fore runner in bringing to India the most advanced and latest technologies. Investments in technologies and simultaneously providing education and training to surgeons, consultants and technicians for handling those technologies are seen as a very progressive medical strategy for providing better than the best for the patients. 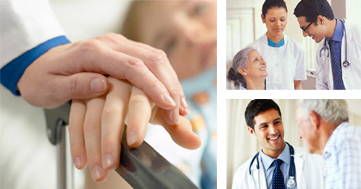 Rajan Eye Care is a patient-centric hospital. Putting Patient First, all the systems, procedures, protocols, and processes inside the organization are driven by a philosophy of providing patient delight. The hospital is one of the first eye care provider in India which got accredited towards meeting the requirements of the ISO 9001 standards for implementation of quality systems. Constantly in search of excellence, the hospital adopts world class practices and embraces an organisational culture for extending care and compassion to all its patients. Pushing the boundaries, our bench marks are revisited periodically and the bars are raised on a continual basis to ensure that we provide world class eye care in the true sense.